Summer Starfruit is a yellow that most people either like or don't like. Because it has green and gray in it, it's a great yellow to use when you want something more muted than Daffodil Delight yet darker than So Saffron. 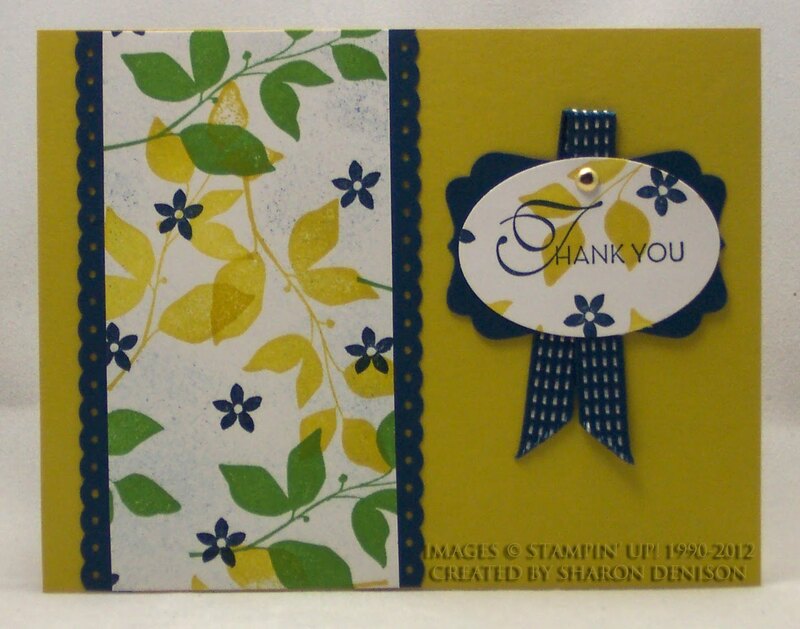 I got these cards in swaps at Stampin' Up! 's Convention 2012. They are beautiful and show different ways to use Summer Starfruit. These cards all use Summer Starfruit as the medium color. It's not the darkest or lightest color. Summer Starfruit looks great with Midnight Muse in the first two cards. This third card uses Not Quite Navy as the darkest color. 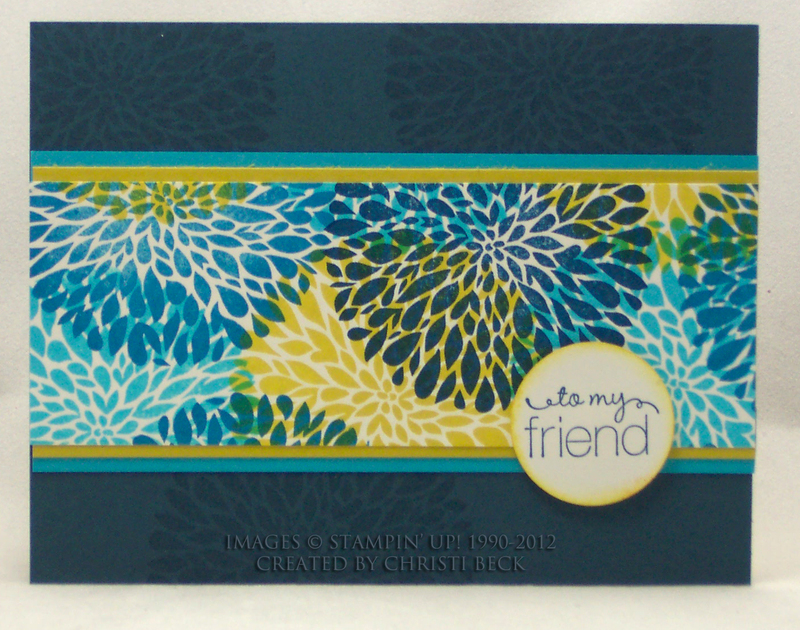 The color combination is gorgeous and not one that I would have come up with on my own. It was made by my friend, Christi Beck. She was inspired by a sweater with a design that looks very much like Betsy's Blossoms. These three cards also share another common characteristic. 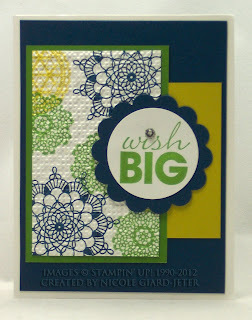 They all used stamping on Whisper White card stock to create the patterned paper that you see. This is a great way to make your own "designer series paper" in the colors and pattern that you want. I hope you enjoyed seeing these cards and will try using Summer Starfruit in some of your projects!